Middlesbrough face a daunting task away to Manchester United in the fourth round of the Capital One Cup. Aitor Karanka’s men are the last North East survivors, following Newcastle’s 1-0 home defeat to Championship club Sheffield Wednesday last night. 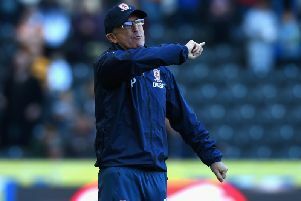 Boro, who outgunned Wolves 3-0 on Tuesday, will head to Old Trafford for the first time since the 2008/09 relegation season on October 27 or 28, meaning three away games on the trot for the Teessiders. Boro have been drawn against United five times in the League Cup, and won just once – when Malcolm Smith’s goal earned a memorable 1-0 victory at Old Trafford in the 1973-74 Second Division title-winning season under Jack Charlton. United won the most recent League Cup clash in 2008/09, 3-1 at OId Trafford when Adam Johnson hit Boro’s second-half equaliser, also winning 1-0 in 1969/70, 3-0 in a replay in 1974/75 after a 0-0 Ayresome Park draw. Their biggest League Cup meeting came at the semi-final stage in 1991/92, when Boro forced a goalless draw at home before going down 2-1 in the second leg. Bernie Slaven notched for Boro at Old Trafford, but wingers Ryan Giggs and Lee Sharpe steered United through.